Ever since Sony announced plans to push forward with their Venom spinoff, the studio has come under heavy scrutiny from fans, and rightfully so. First off, the last time they brought us a live-action adaptation of the character was in the terrible Spider-Man 3. But everyone deserves a second chance and we’re willing to give them one. Or at least, we were, until we found out that Venom won’t be connected to the Marvel Cinematic Universe and as such, won’t feature Spidey. Think about that for a second. A Venom film that doesn’t include the web-slinger. The character is only interesting because of his connection to the iconic hero, so if you take that away, you’re not really left with a whole lot. Frankly, we don’t see how this is going to work or how Sony expects fans to get excited for it, but they’re moving ahead with the project regardless. The R-rated film will reportedly start shooting this fall and while a director hasn’t been chosen just yet, today we’re hearing that Adi Shankar is under consideration. The scoop comes from Splash Report and with no official source to back it up, we suggest taking it with the requisite grain of salt. According to them though, Shankar is on the shortlist and if you think about it, this does make a bit of sense. After all, he produced the short film Truth in Journalism, which hit the web a few years back and revolved around Eddie Brock/Venom. It’s an interesting take on the character and if you haven’t yet seen it, you can give it a watch below. Of course, the one problem here is that though Shankar is an accomplished producer, and a favorite amongst fans for his “Bootleg Universe,” he’s never directed a feature film before. That doesn’t necessarily mean he can’t make his debut on Venom, but we’d imagine Sony would want someone a bit more experienced for an important project like this. Who knows, though? Shankar is clearly a fan of the character and admittedly, does seem well suited to the material. 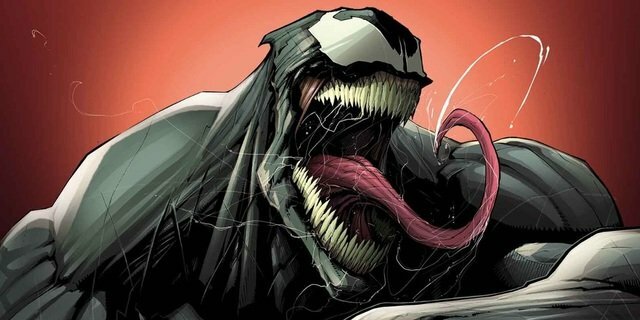 All things considered, he definitely wouldn’t be a bad choice and though we’re not really on board with the idea of a Venom film that doesn’t feature Spider-Man, we’d have no problem if Adi Shankar was chosen to put his spin on the character.